Applicants who are willing to apply for the NIFT 2019 should know the eligibility and application process of the NIFT examination. Application Date: The application process of the NIFT 2019 will start from the first week of November 2019 and the last date is the second week of January 2019. The application fee has to be paid through online payment gateway or through Bank Demand Draft issued in favour of "NIFT HO" Payable at New Delhi. The non-refundable fee for General /OBC (Non-Creamy) Category: Rs.2000/- through payment gateway or Demand Draft. The non- refundable fee for SC/ST/PWD Category: Rs.1000/- through payment gateway or Demand Draft. The students should complete the application before the last date for applying the application form for the NIFT 2019. Candidates should also make sure that they fulfil the eligibility criteria before applying for the NIFT Entrance Examination. If the eligibility criteria mentioned in the NIFT official website is not fulfilled by the candidates, they wouldn't be allowed to write the NIFT Entrance Examination. Create Account: The candidate has to create a login ID. Visit the official website for NIFT and click ‘NEW REGISTRATION’ tab. Email Id: The candidate has to put the active email Id since all the information about the exam from NIFT will be provided on this email Id. Candidates have to enter his/her information carefully. Personal Details: The candidate has to enter the personal details in the NIFT Application such as- Candidate’s Name, Parent’s Name, Date of Birth, Gender, Address, City, State, Pin code, Category (SC, ST, OBC etc. ), Physically handicapped, Contact Number, Email Id etc. Education Qualification: The candidate has to mention Education Qualification in the NIFT Application form. Review the Application form: Candidates are advised to review the mentioned details before submitting it. Uploads: Candidate needs to upload a pre-scanned recent passport size coloured photograph. The photograph should be in JPG/JPEG format and the size of the file should not exceed 50 kb. Payment Mode: Candidate can make the NIFT Fee Payment through Debit Card or through Demand Draft. Once the candidate completes the registration process he/she should make the payment for completing successfully the NIFT Application Process. Candidate can choose the Debit card/Credit card, once candidate complete the registration process. Here candidate has to make transaction bank. Candidate can also choose Demand Draft in favour of ‘NIFT HO’ at New Delhi. Do I have to upload any documents during the NIFT application process? Yes, candidates have to fill in all the details in the NIFT application form and then attach the required documents. Will they send us the username and password during the NIFT application process? Once the candidate has submitted the form. The username and password will be sent to the candidate's mobile number and email ID. I've missed the application for NIFT entrance test. Can I still apply? I missed the dates to apply for NIFT entrance exam, can I still apply for it? I'm really sorry, but the board doesn't accept any applications to NIFT after the dates are over. The last date to enter your application form to NIFT was on the 10th of January and a window of 6 more days (till 16th of Jan) for applications including a late fee of Rs. 5000 was provided. When will the application for NIFT 2017 start? I wanted to know when I can start applying for NIFT 2017 examination? The applications for NIFT 2017 start from the third week of the October 2016. I wanted to know the application fee that would be charged during the application process for NIFT 2017 examination. I wanted to know the last date to submit the application form. Also what are the documents required to apply ? You have to submit your application before the 3rd Week of January 2017 or else your application for NIFT Examination 2017 will be rejected. What is the procedure to apply for NIFT? 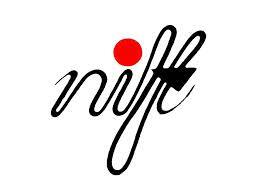 Open the official website of NIFT. Click on the link for online registration/Application 2017. The application form will appear. Fill in the all the details accurately in the application form and attach all the required documents. Pay the fees as per the given instruction. Save the form and click the submit button to submit the form. Immediately the username and password is sent to the given mobile number and email ID. How much is the application fee for NIFT form? The application fee will be Rs.1500 for General/OBC Category. For SC/ ST/ PHP candidates, the application fee will be Rs.750. The fee must be paid online or through DD. How much is the late fee in case of late registration? In case a candidate does not register within the stipulated time period, he/she would have to pay a late fee of Rs. 5,000.